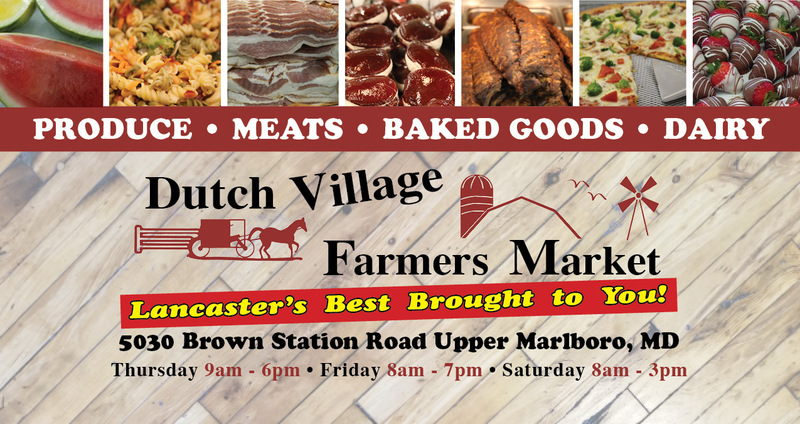 Dutch Village Farmers Market opened. Potato Wedges, Bourbon Chicken and Rice. Homemade Sweet Tea or Lemonade. To pre-order larger quantities, please call ahead to place your order in advance.